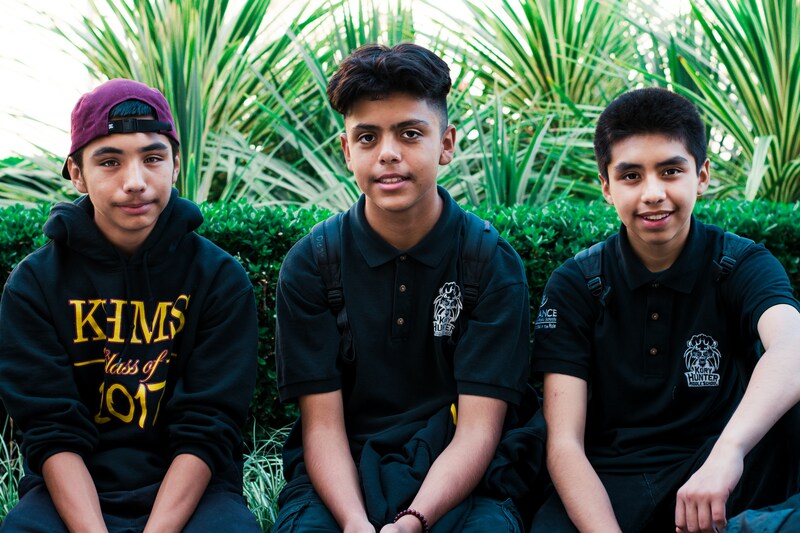 Please join us at out "Together We Dream Immigrant Rights Fair" on March 25, 2017, from 9 am to 1 pm at Alliance College-Ready Middle Academy 12 (131 E. 50th Street, Los Angeles, CA 90011). If you would like to attend please RSVP with Miss Romero. All community members are welcome and encourage to attend!!! *If 45 or more parents attend transportation will be provided. * Parent hours will be given for attending this event! 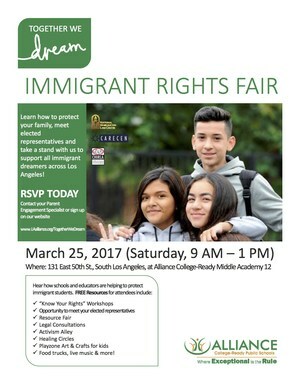 Please join us at out "Together We Dream Immigrant Rights Fair" on March 25, 2017, from 9 am to 1 pm at Alliance College-Ready Middle Academy 21 (131 E. 50th Street, Los Angeles, CA 90011). If you would like to attend please RSVP with Miss Romero. All community members are welcome and encourage to attend!! !